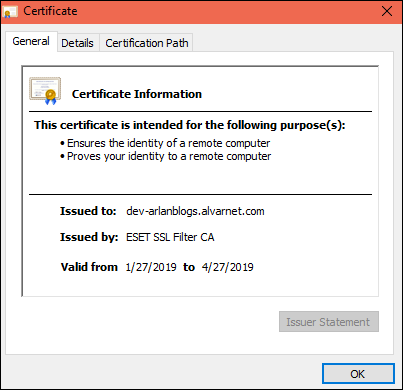 In fact, checking details of a couple of the expired SSL certificates still sitting in the portal, it showed that the same ‘Fake LE Root’ issuer was named on those certificates too!! It had been missed because at some point 9 or 10 months ago, ESet was told that this was acceptable, so no more browser warnings were given! 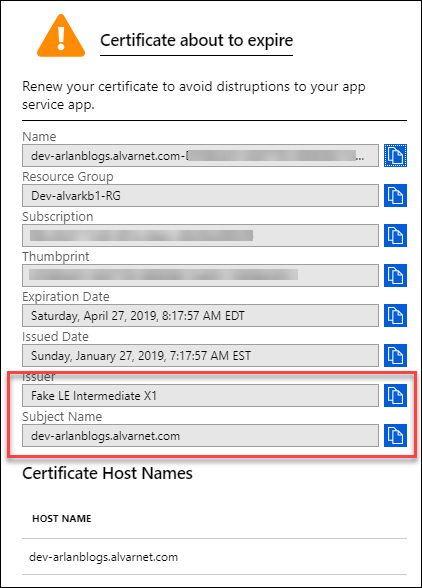 Since the Lets Encrypt SSL certificates for our Azure web apps automatically renew every 3 months using Azure Web Jobs – we missed the mistake entirely until using the GMetrix tool testing page load speed. 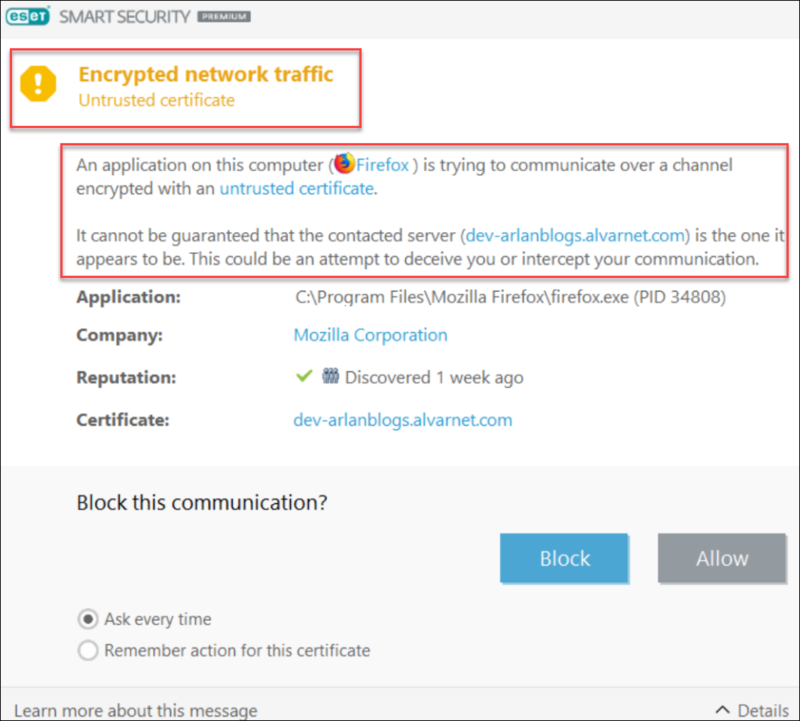 Their SSL Checker gave us the SSL warning at the top of this post page! Yikes – how did this happen?! Admittedly, this IS a DEV site, but not having understood how this could have happened, the solution needed to be found for why – and how to prevent this from just ‘happening’ to a PROD site – as well as fixing it on the DEV site. In our case, we went through the procedure of replacing the LetsEncrypt SSL Certificate and automatic renewal settings for that DEV site!